Please Note, Screws are Not Included. 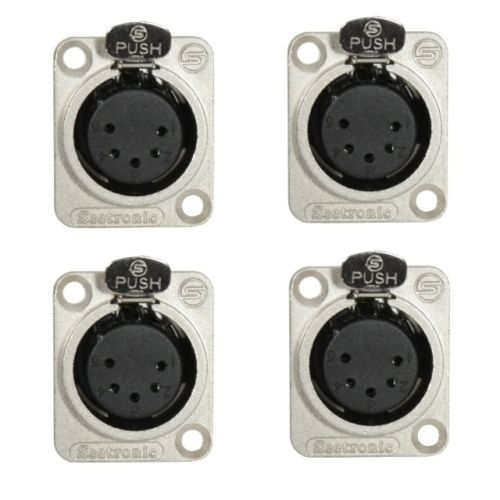 Seetronic K5F2C 5 Pin XLR Female Panel Mount Connector Designed to panel mount into a standard D-series punch-out. 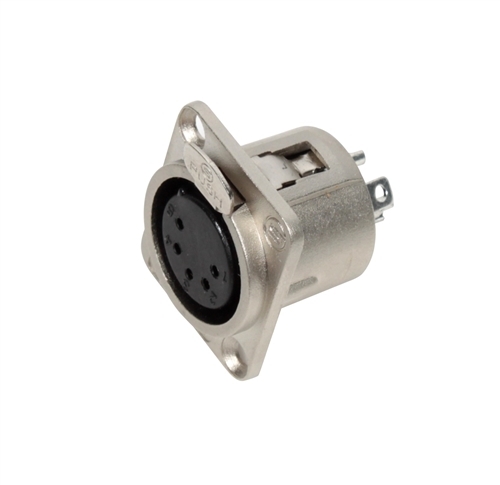 The standard knockout for a D-series product is approximately 0.840" or 21.3mm. 27/32" will also work. 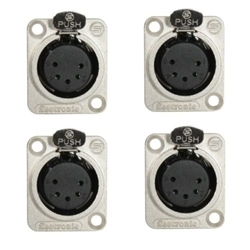 Since the method of mounting a panel-mount D-series connector varies, the mounting screws or rivets are not included with this connector. 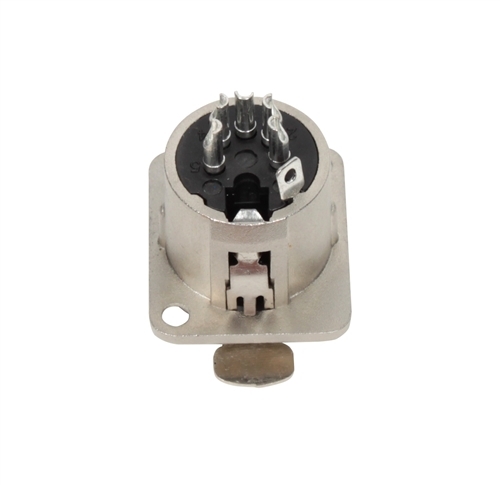 RIVETS - It is possible to use any aluminum 1/8'' or 3.2 mm 90° countersunk blind rivet. We suggest drilling a hole diameter of 3.3mm for the panel. It is possible to use pneumatic, electrical or hand riveting tools.